Viet Fun Travel will take you to explore tropical fruit orchard gardens, the daily activities of local people in Mekong Delta. 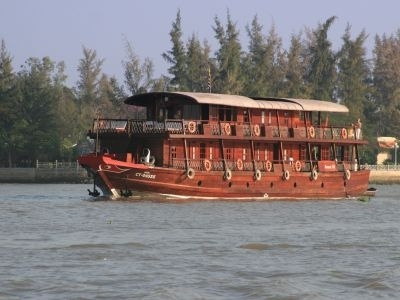 With 2 days Mekong River Tour, you can visit Cai Be floating market, coconut candy and rice paper production factories, Cai Rang floating market and see many beautiful scenery while you are on Le Cochinchine Cruise. Don’t hesitate to contact Viet Fun Travel for your enjoyment. Visit colonial buildings + beautiful flower gardens. Coconut candy and rice paper production factories. 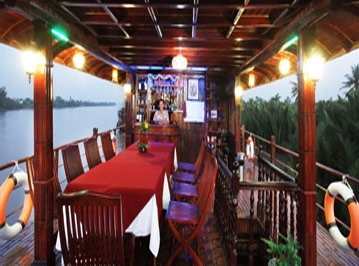 8:00am: Start Le Cochinchine Cruise Mekong River Tour From Cai Be. 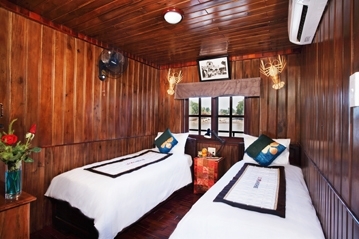 Pick up from your hotel in Saigon and depart travel by car/van to Cai Be – 11: 30am half hour your wait boat and rest. 11:30 -12:00 am boarding LE COCHINCHINE boat. Enjoy welcome drink. Transfer to a local boat for an extensive visit of Cai Be: the floating market, the mazes of waterway, local pop-rice and sweets production. Visit of colonial buildings, old houses, delightful flower gardens and local coconut candy and rice paper manufacturers. Le Cochinchine continues its cruise to Co Chien. Lunch served on board. Embark on a pleasant walk or cycle on the footpaths of the countryside to discover tropical fruit orchards and the local people's activities. Visit a cottage industry, a local farm and sample seasonal fruits. 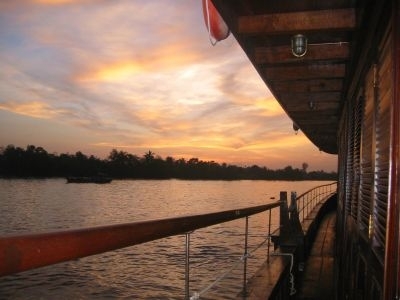 Leisurely cruise on the Mekong River while taking in the beautiful scenery. Enjoy an aperitif over the sunset. Dinner and night on board. Breakfast on board. The morning bobbling commotion of Mekong river life comes to life for another lovely day our boat set sails to Cantho through tributary and canals. 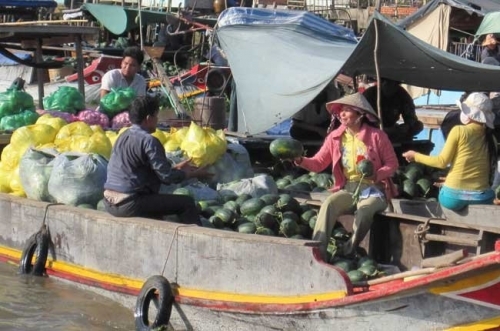 Transfer to Cairang: one of the most bustling floating markets in Mekong. We go for a walk along the canals and the palm-shaded creek to see local houses and green orchards, ship building yards, rural and water activities in full swing. Our car/van will wait and pick you up at the meeting points and transfer back Saigon. Note: If you are a single person or you request a single room, you must choose single supplement part. Standard Type: Air-con tourist bus, English /French-speaking Tour Guide, 1 night accommodation on board., Meal as mentioned during the cruise, Entrance fee, Biking, sampan boat ride. Services of crews during the cruise. Apperitif. Deluxe Type: Private car/van, English /French-speaking Tour Guide, 1 night accommodation on board., Meal as mentioned during the cruise, Entrance fee, Biking, sampan boat ride. Services of crews during the cruise. Apperitif. We will free pick-up at De Tham St, Bui Vien St, Pham Ngu Lao St, Le Lai St, Le Loi St, Le Thanh Ton St, Bui Thi Xuan St, Dong Khoi St, Pham Hong Thai St, Thu Khoa Huan, Nguyen An Ninh St, Cong Quynh St, Ly Tu Trong St… Dist 1, HCMC, Vietnam. Mentioned addresses exclusion, please come to Viet Fun Travel Office (28/13 Bui Vien St, Pham Ngu Lao Ward, District 1, HCMC). Deluxe Type:We will pick up in Dist 1, Ho Chi Minh City.